Diamond Fine barrel for smoothing dry skin and calluses. 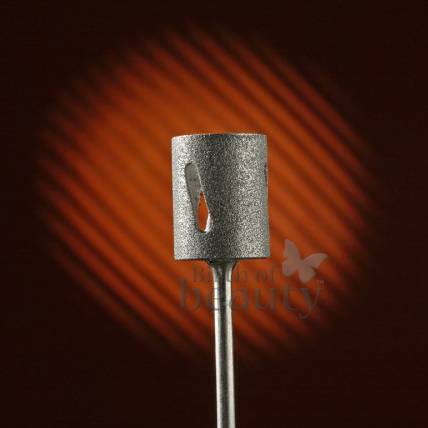 Diamond Fine barrel for reducing calluses on heels, ball of foot and removing cracks on heels. Can be autoclaved or liquod sanitized. For use with Medicool's ProTouch 1000, Pro Power 30k, Nail Pro 2000, TurboFile 2400 and PediNova. Can also be used with: KUPA, ASEPTICO, BRAVO, BUFFALO, NAIL LABO, LASCO, DREMEL, ERICA's. 3/32" shaft.